RICHMOND, BC – Wheelchair Rugby Canada and the Canadian Paralympic Committee are proud to announce the 12 athletes nominated for selection to Team Canada for the Rio 2016 Paralympic Games this September. Canada is currently ranked world No. 1 in wheelchair rugby for the first time in 13 years after winning gold at both the Toronto 2015 Parapan Am Games and the 2015 World Wheelchair Rugby Challenge. Now, the team is focused on winning its first ever Paralympic gold medal, after claiming silver at the London 2012 Paralympic Games. Team Canada will draw on extensive competitive experience in its Rio campaign. Nine athletes will be returning from the team that won silver four years ago in London. Canada’s last competition before Rio will take place on home soil at the 2016 Canada Cup International Wheelchair Rugby Tournament from June 23-26 in Richmond, B.C. Seven of the world’s top teams – including rivals USA and Australia – will compete. 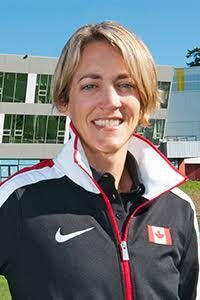 Athlete and coach biographies are available at Paralympic.ca/athletes. Bios and high resolution photos can be downloaded at http://tinyurl.com/h3vyhge. The nominated team will be supported by the following coaching staff in preparation for Rio: Head Coach Kevin Orr (Pelham, Alabama).